The last time the Chicago Cubs won the World Series was 108 years ago. Sunapee Cove resident, Hazel Nilson was born in Chicago 108 years and 2 months ago. She was featured in a Wall Street Journal article looking at her history in the Windy City. 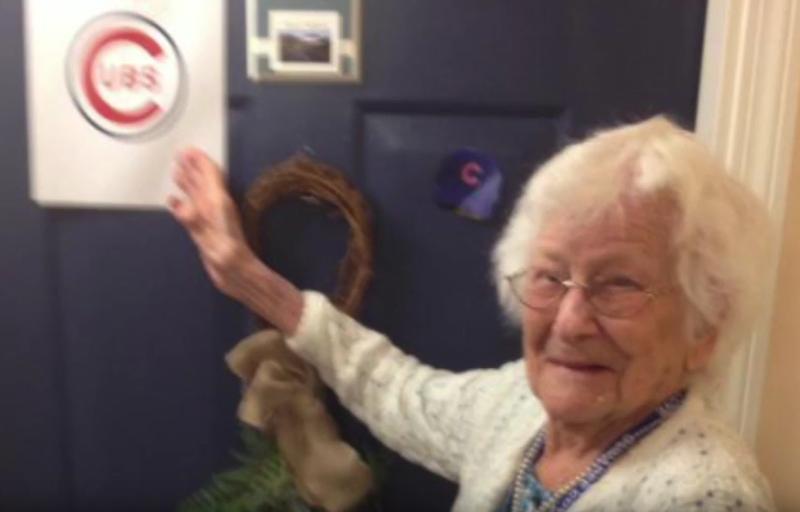 YCN stopped by to find out if she’s a Cubs fan and what it was like growing up in the 2nd city. I guess we know who she’s rooting for tonight and throughout the series in spite of the pressure from Indians fans at Sunapee Cove. What an amazing woman who tells YCN to that people should live while they are alive. Hopefully her Cubbies got that message.